All of the GameBoy's built-in hardware has been implemented, except for the serial communication port. Note that these arguments are case sensitive and that bundling is only supported by the --noload and --nosave switches. 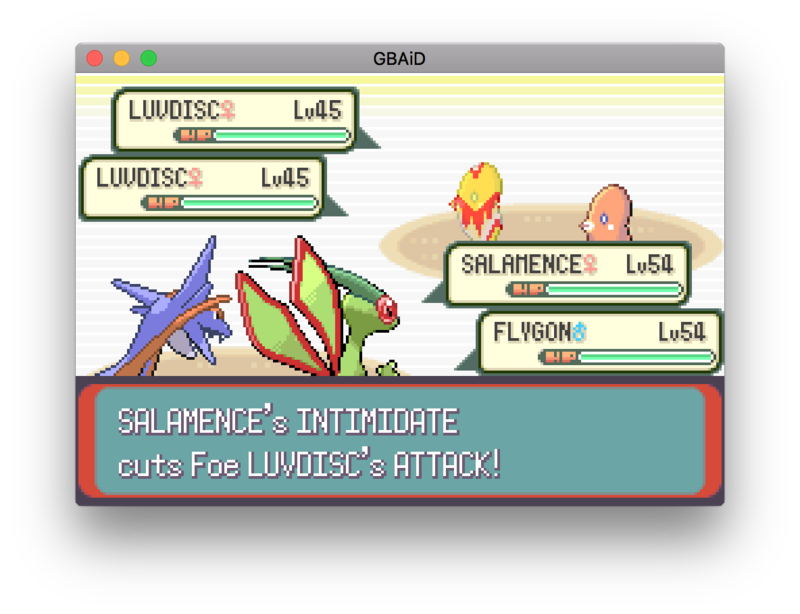 The emulator can almost always auto-detect the save type, but it's not guaranteed to always work. If it doesn't work, then you will need to use the following switches to configure the save memory manually. The --save-memory switch is used to configure the main save memory. It takes any one of the following arguments (case senstive). The --eeprom and --rtc switches are used to configure the optional EEPROM and RTC respectively. They take any one of the following arguments (case senstive). Quick saves are not save states, they just write the contents of the save memory to the save file immediately. Otherwise this is only done on exit. This is useful to ensure you do not loose game progress if the emulator crashes or fails to close normally. Note that quick saves are disabled when using the -N switch.